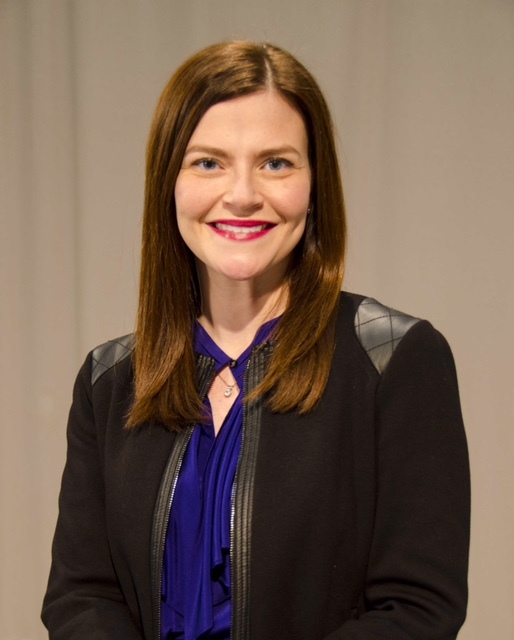 Meet the Junior League of Tulsa, Inc. (JLT) President Rita Moschovidis Burke! Rita joined JLT in 2008 and is in her eighth active year. A graduate of Booker T. Washington and the University of Tulsa, Rita is a local sales manager for KTUL, Tulsa’s Channel 8. She lives with her husband, Taylor, and 13 month old daughter, Helen. JLT: Why did you join JLT? Rita: Volunteering has always been an important part of my life. A few sustainers that I knew from Channel 8 and the TU Alumni Association encouraged me to join and told me I would love it. They were right! I joined because I wanted to meet new people, serve the Tulsa community, and become a more effective volunteer. JLT: What was your favorite placement and why? Rita: Holiday Market. Fundraisers are super fun and very busy! I loved working on a big event with lots of moving parts and raising money for the League. And, one of the best parts of the placement was the people; I made some of my dearest friends in the League working on that committee. JLT: What’s your favorite thing about JLT? Rita: Our members! Our members bring the ideas, the energy and the commitment to move our mission forward. The collective impact of many gives the League the power to make things happen. JLT: When did you realize you wanted to be president of JLT and why? Rita: I realized I was interested in serving as President when I was Treasurer of JLT. As the treasurer, you work very closely with the president and attend a lot of the same meetings. The role offered training from both operational and strategic standpoints and gave me a broad view of the many aspects of the League and our growth opportunities. To keep building a better Tulsa, we must keep building a better Junior League. We currently have a lot of great momentum in our organization; we have nearly 50% of our members serving in community placements and our fundraisers continue to grow. It has been rewarding to be a part of this momentum and serve alongside friends with shared vision and goals for Tulsa. I am motivated to continue to build a better Junior League and propel our organization forward. JLT: What are you looking forward to most about the next League year? Rita: Developing future leaders for the League and for Tulsa. Tackling some big goals that will help make our League even stronger in the areas of membership engagement, financial forecasting, diversity & inclusion, community impact, and fund development. JLT: What’s something people would be surprised to learn about you? Rita: My father immigrated to the US from Greece, met my American-born Irish mom, and became a US citizen when I was in elementary school. If you’ve seen My Big Fat Greek Wedding, you may remember the main character attending Greek school and hearing a lot of about the (Greek) origin of words. Both of those elements of the story line parallel my childhood! And, no, Windex is not a critical part of my life! Unfortunately, I have never learned to speak Greek fluently, but as the daughter of a Greek citizen, I was eligible to seek citizenship in Greece and am a US citizen and a Greek citizen. JLT: What’s one of the most important life lessons you’ve learned so far? JLT: What advice would you offer to other League members? Rita: The Junior League experience gets richer with time and can truly have a cumulative impact on your life. You broaden your experiences as an effective volunteer and grow deep friendships with an amazing group of women. Vary your placements and get out of your comfort zone – that’s where you learn the most. The best friendships are made working alongside the women on your committee. JLT: What’s your favorite League memory? Rita: That’s tough! There have been many moments in the midst of volunteering, both on fundraisers and in our community programs, that have left me thinking, “Wow – it’s pretty amazing what you can accomplish with a group of volunteers.” My favorite memories are usually the ones that happen while in the trenches of whatever project on which you’re working. Moments at Holiday Market, working the JLT office with Nicole Randolph in the absence of a business manager, and meeting for dinner or drinks with another board member come to mind! JLT: What’s your favorite Tulsa pastime? Rita: Concerts at Cain’s Ballroom and TU basketball games with Taylor. Rita: Hanging with Helen and Taylor, my family, and my friends. And Junior League-ing it! JLT: Anything else you think readers would be interested to know about you or JLT? Rita: On my desk at Channel 8, I have a small tray with a Benjamin Franklin quote that reads, “Energy and persistence conquer all things.” This is one of my favorite quotes because it embodies what I value: hard work, passion and commitment. The League is lucky to have so many women who share these values and make our organization stronger.